If you’ve just upgraded your system to Windows 10, you will notice that default view on File Explorer (Windows Explorer) is different from Windows 7/8/8.1. 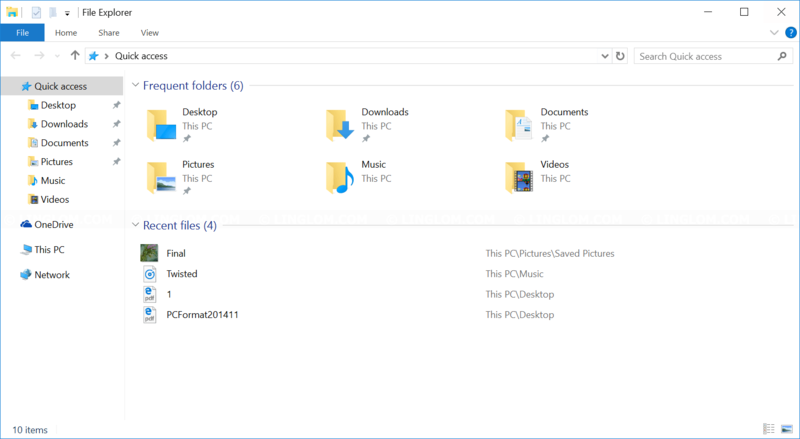 When you open File Explorer on previous versions of Windows, you see your personal folder such as Desktop, Documents, Downloads, Music, Pictures, and Videos, including connected drives and mount network shares. But on Windows 10, it has Quick Access view which is a new default view on File Explorer which shows frequently accessed folders and recent files as in the screenshot below. You can switch to This PC view which is default view on Windows 7/8 if you think Quick Access is not for you. Follow the guide below to configure default view on Windows 10 File Explorer to This PC. Open File Explorer window and click View tab. On View tab, click Options. On Folder Options, select General tab. 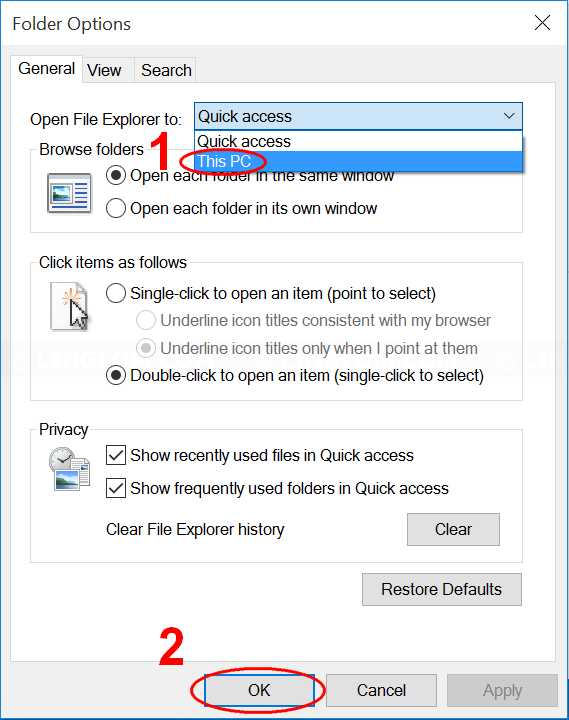 Find the drop-down option labeled as Open File Explorer to at top of the window and select This PC instead of Quick Access. And click OK to apply change. Then, open File Explorer again and it will show This PC view.